Size: 12-18 Months, Color: Blue is currently out of stock! Size: 6-12 Months, Color: Blue is currently out of stock! 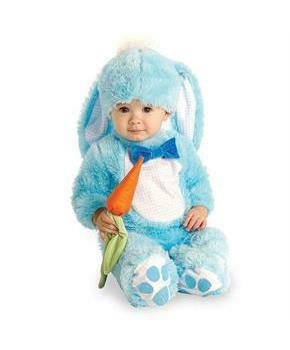 Blue Bunny infant costume includes chennille and flannel jumpsuit with bowtie, hat with ears, and carrot rattle. Easter bunny is here with a basket full of colorful eggs so get your children for Easter celebration. Who doesn't love fluffy and adorable bunnies? Bunny is a soft and beautiful animal with big ears and wiggling nose. You will not find numerous costume ideas anywhere else. Are you shopping for your little baby? Then get really serious as you can't just buy any costume. 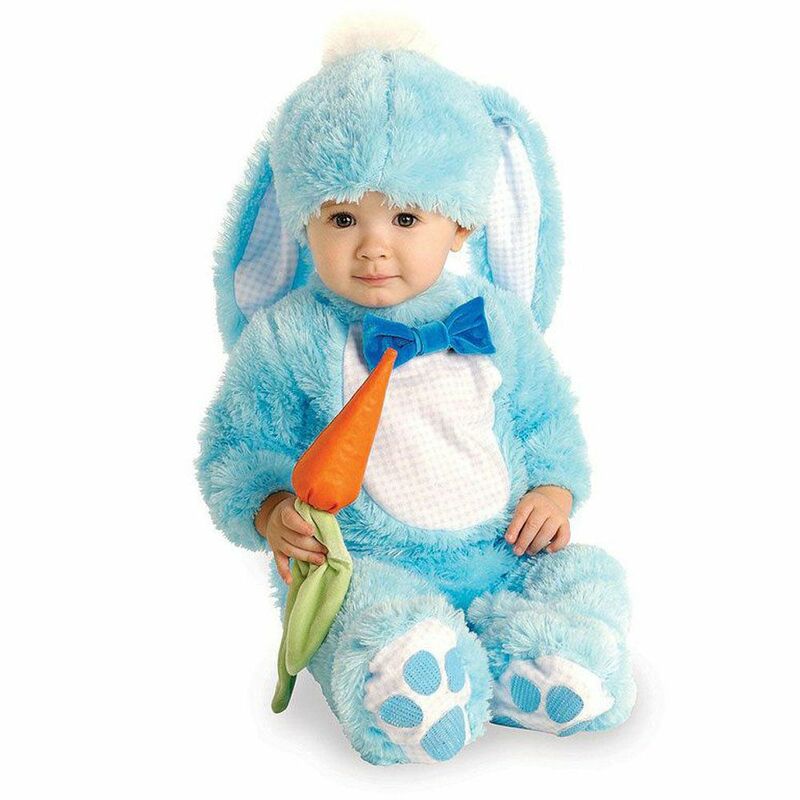 Dress up like an iconic legend in our Blue Bunny Infant costume.